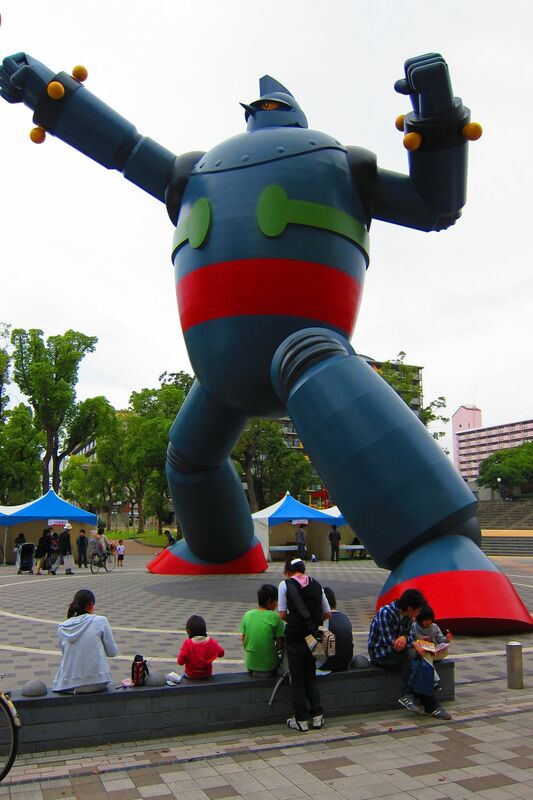 Tetsujin 28 At Shin Nagata Kobe is a must see free tourist attraction for fans of Japanese Manga. This is a giant robot statue dedicated to a 1960's cartoon called Tetsujin 28 go. It is 18 meters tall. Tetsujin 28 was built in honor of the 15th anniversary of the Great Hanshin earthquake that destroyed many parts of Kobe on January 17th, 1995. 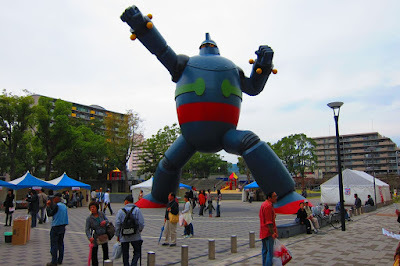 The Tetsujin 28 statue is in Wakamatsu Park just 5 minutes walk from Shin-Nagata Station Kobe Hyogo Japan. To get here take the local JR train on the Sanyo Line from Sannomiya Station Kobe to Shin Nagata Station. Exit on the south side of JR Shin Nagata Station and walk west across the intersection, and continue west for 5 minutes until you come to a park.